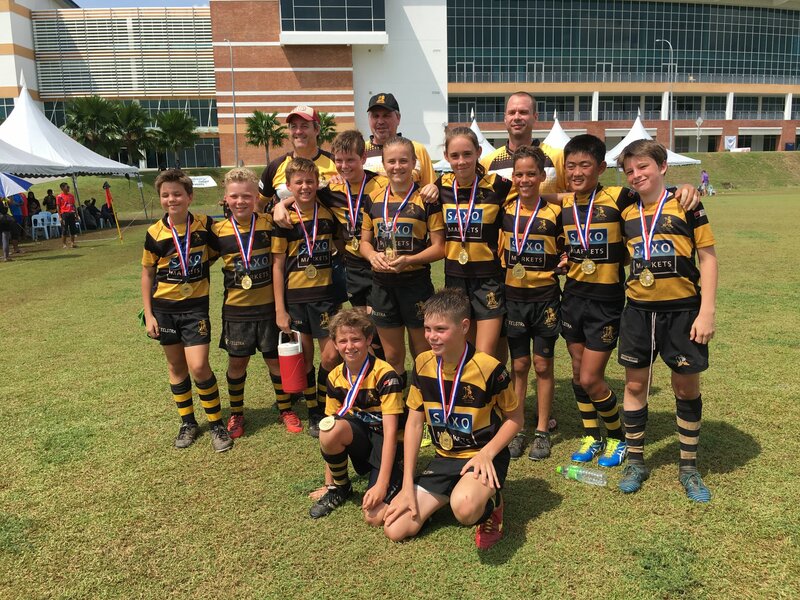 The SCC Rugby Academy had a great weekend at the KL Tigers tournament! Some amazing play and good memories made. 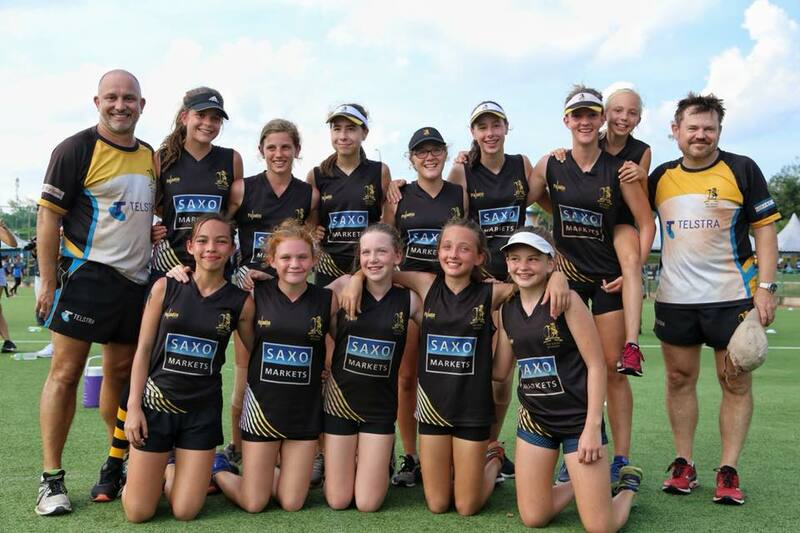 Special congratulations to the Touch girls who came away with double gold, to the U16s who had a amazing cup victory despite a few injuries and to the U12s who won every match and conceded one try all weekend. The Academy entered 11 age groups, made the finals in 7 of which we won 4 – congratulations to everyone who fought and played hard! Full coaches’ match reports below. A very successful day for our U13 girls as they won the Cup beating TRC in the final. The squad completed 8 games over the weekend scoring 18 tries and conceding only 2. This is the first time this age group has won a tournament outright and, aligned to the success also achieved by our U15 squad, it demonstrates the progress being made by SCC Touch across all age groups. 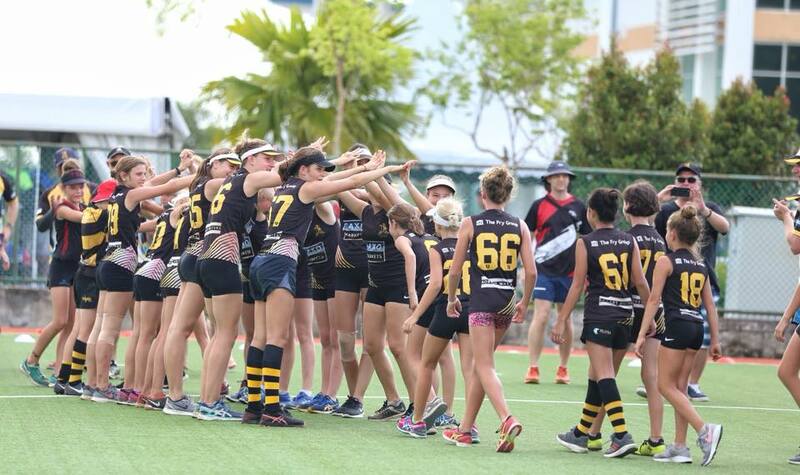 Our SCC U15 girls touch team excelled themselves at the KL Tigers tournament in Kuala Lumpur and came away as victors with the champions cup secured. Most impressive is that the 12 girls managed to lift themselves from a mixed start to the tournament and come through with a huge effort on the final day to beat all comers on the home stretch. The tournament started with a 1-0 win over arch-rivals, Tanglin. Many satisfied grins after that one, and a seed of confidence was sown. They then played the Marlborough B team (arguably better than their As) and managed a hard fought draw. After lightning interruptions for the rest of Saturday, there was an early start on Sunday that began with a loss to hosts, KL Tigers. It was time to dig deep. There were 5 teams all close in score near the top of the table as the last preliminary rounds proceeded, and everything to play for. Angel’s angels found an extra gear and the look of tenacity on their faces, and the dives for the corners, said it all. They won three games on the trot and secured a place in the final against … KL Tigers, who had beaten them that same morning. It was time for some real belief. And our U15s came through with an enormous effort in the last game to win 2-1 and take the cup. Everyone worked hard to secure this outcome and all of the girls should feel very proud. The coaches and parents certainly do. Special mentions to Charlotte Finley who stepped up as captain and led by example, Charlie Dyball who proved to be a try scoring machine (among others) and Jasmine Smith who ran hard and straight all day. Every one of the girls should feel proud of their efforts. I think it’s fair to say that the atmosphere surrounding our final training session had reached ‘fever pitch’……. 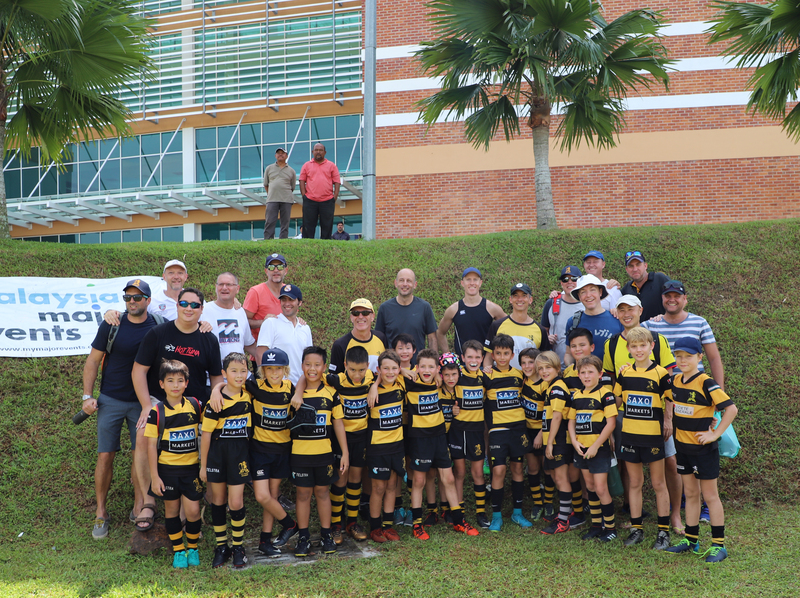 Both parents and players were all chomping at the bit for what was going to be the first rugby tour for many of these young superstars of the future. 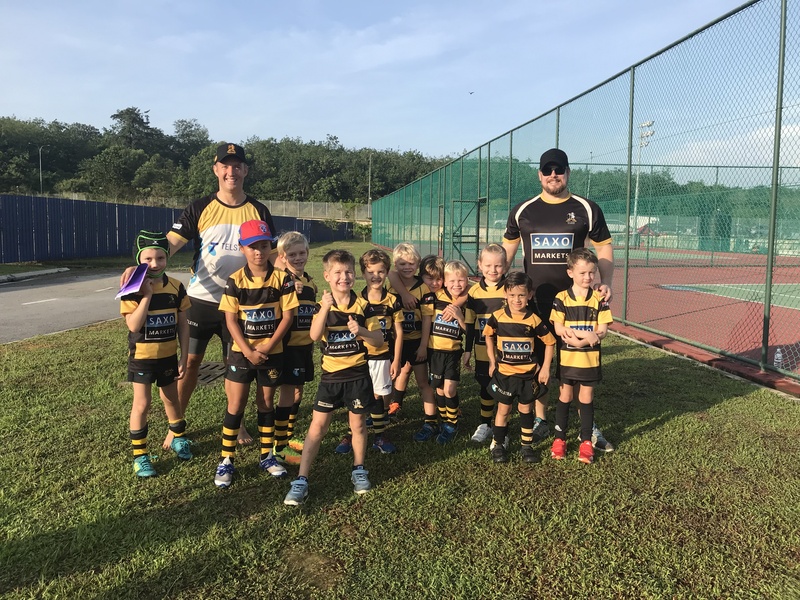 Needless to say this enthusiasm found its way up to KL although some of the players required an extra pancake or chocolate croissant at the brekkie buffet to get them ‘geed’ up for Day 1 of the tournament which consisted of 5 fixtures in fairly quick succession. Once out at the impressive grounds of Epsom college we had no trouble at all rallying the troops for their first game and one must also thank all the parents for their ongoing support throughout the weekend as coordinating a squad of 15 odd 5 year olds without parental assistance is nigh on impossible and we couldn’t have had such a great weekend without everyone chipping-in when required. 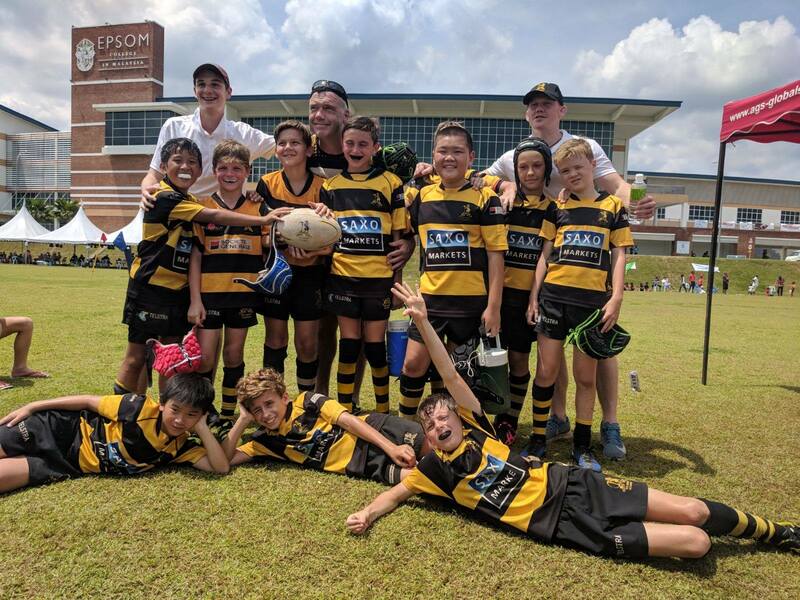 As Day 1 unfolded we faced some stiff competition from the likes of The Dragons and Tanglin and although we ended up on the wrong side of the ledger for a couple of the games, they were all very ‘tight’ games with teams only separated by 1 or 2 tries. As we finished Day 1 we had managed a win, a couple of draws and several close losses but more importantly, the team had improved immensely and every player tried their little hearts out and did both their parents and the academy proud. Day 2 followed in the same vein and as their coach, I walked away immensely proud of the determination they showed and just how enthusiastic everyone was to get as much game time as possible. The U6’s were the youngest squad to tour this year and I am delighted that this group had the opportunity to be immersed into the fantastic culture the SCC academy has developed and I am certain they are all better for the experience. For most of the U7’s this was their first tournament, with the U6’s making up the majority of the squad. There was great excitement at the hotel as we arrived on the Friday with everyone running around and mixing really well. Coach Dave and I arrived after 7 hours on Malaysian roads after we got a flat tyre, changed the tyre and then search the back roads of Malaysia for a tyre shop. Our two sons in the back of the car were truly learning the joys of tour!!! We started off the first game very slow and this was due to the coaches not getting them revived up enough, lesson learned!! Throughout the five games on Saturday, we really started to develop as a team both on and off the pitch. There was plenty of play time for everyone and we started to put better patterns and phases into play. Our defence was excellent, except against Tanglin who were two fast for us in some areas. Our players were running straight and hard and there were a few individual moments as well. The best moment was our final piece of play in the final on Sunday where we started the play on our own try line and ended up with 6 players taking part in the series of play with a score in the corner of the pitch. Coach Cameron did an excellent job of getting people on and off the pitch and organising the teams so that everyone started games. I would like to thank the parents who were excellent in encouraging and having great fun with the kids and the coaches. From a coaches perspective we know the kids really well but it was great to meet the parents properly with drinks at the pool and the evening dinner/awards. As coaches and Dad’s we are looking forward to it next year. The U8s had a brilliant tournament with a 5 for 5 on day one to finish top of the table. We went into the cup final with only 1 loss on day 2. In the Final we were 2-2 draw into extra time and were beaten by a very strong Centaurs team. Taking home the silver (first ever as a team) and so very proud! The dads enjoyed themselves too! The U9’s launched into the tournament on Day One winning the first game 5-0 against our number one competitor the Centaurs. We continued the day undefeated with only one draw registered against the Dragons, which tied us at top of the table with HK Sandy Bay at the end of day’s play. 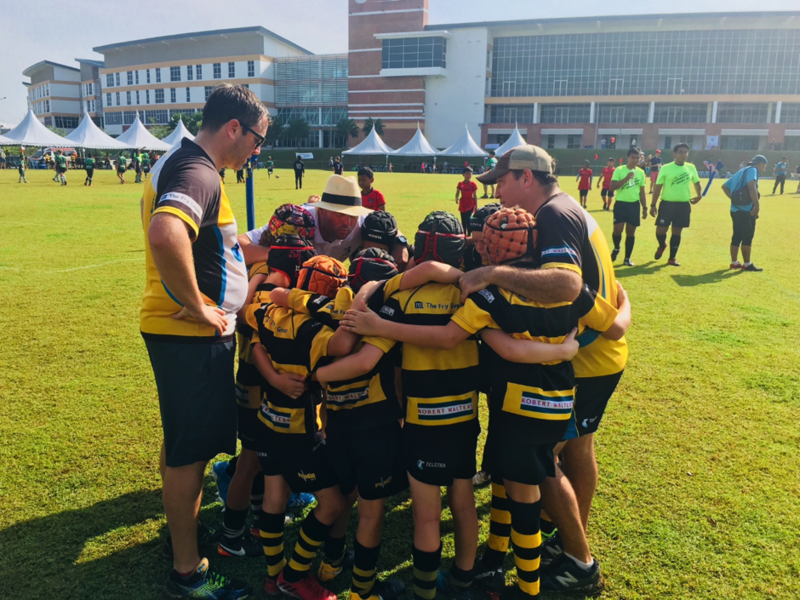 We started the second day with a win against Tanglin and continued our winning streak beating Bestari, KL Saracens and HK Sandy Bay, taking the U9 Lions to top of the table, and straight into the Cup Final to again face our toughest competitors the Centaurs. Our boys were absolutely pumped going into the final and played their hearts out, resulting in a nil-all-draw at fulltime with the game going into extra time. The Coaches and Parents could not have been more tense, and in the final minute of extra time the Lions defended a number of penalties right on their try line, only to succumb to the pressure letting in the Centaurs in the dying seconds! The Parents and Coaches could not be any prouder of our Players achieving runners-up the KL Tournament, and there is already excitement and talk about tactics for next year’s event. SCC U10 returned home from the KL Tigers 10’s tournament as silver medalists losing narrowly to the hosts 5-0 in a fiercely contested final. Playing with a style of moving the ball wide they were unable to pierce a well drilled and very strong KL team. Tigers scored the only try of the game, going over after superb cover defence had thwarted them twice but eventually SCC were unable to stop a determined dive for the corner. Earlier in the tournament SCC had shown a fast handling game, moving the ball at pace, winning 7 and drawing 1 of their 9 pool games. Playing fluent and flowing rugby built on a determination at both ruck and tackle and a willingness to move the ball wide SCC were top try scorers in pool play amassing 136 points. Four straight wins on Sunday morning, including defeating Centaurs and a super performance in their final pool game against a tough Marlborough College side, set SCC up for the final. Unfortunately it wasn’t to be and KL Tigers were deservedly tournament winners. Many positives were gained throughout the weekend with the team developing a style of play moving the ball to create space and scoring opportunities. Team unity, support, passion and resilience together with great sportsmanship made the weekend super. A big thank you to the parents for their support of their children, the coaches and of SCC Rugby Academy. Our U11 tour to KL was a great experience for all. 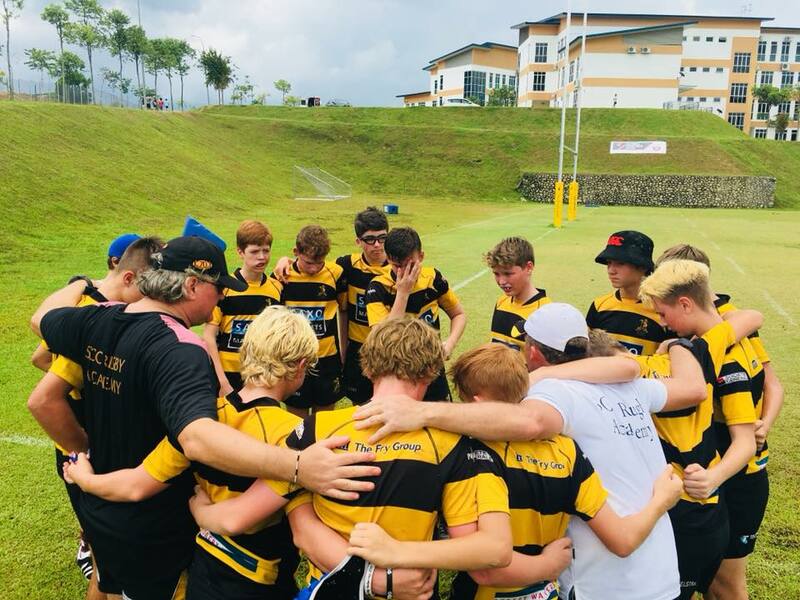 Whilst results weren’t that great, all of the players proved that when they concentrated and had a positive attitude they could play some fantastic rugby. 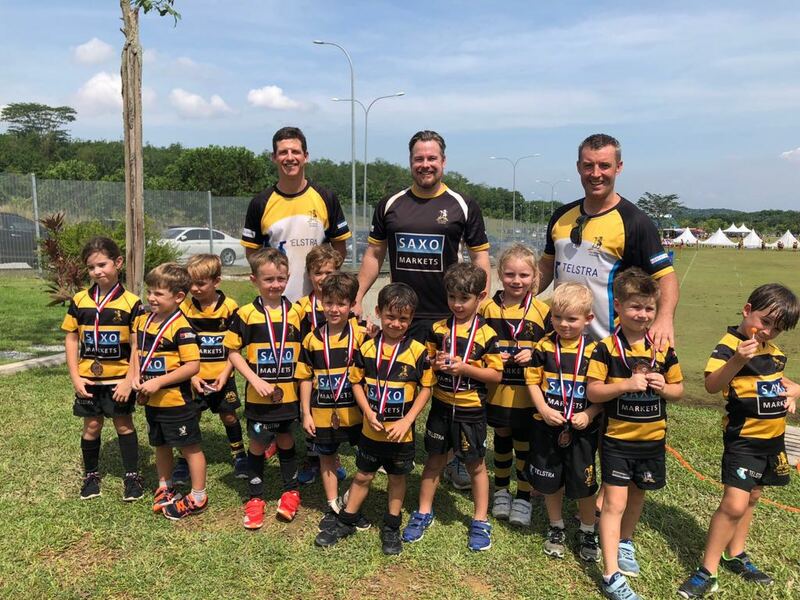 The performance against the eventual winners, Tanglin on the last game on Saturday was testament to that where we went down one try to zero in a very close game. The boys applied themselves superbly and the passion and desire was excellent. This team has had great success over the years where they have at various times won every tournament they have played in. Now is the time to forget at about the past, move forward and once again focus and improve our basic skills but more importantly our attitude, concentration and application. We have the ability and talent to be the best side in Singapore at our age – we need to work hard to realise that if that is collectively what we all want!! The coaches are totally committed to working hard with this great bunch of boys to make it happen and we will be bringing in some new coaching blood to freshen some things up. But it starts with training where are numbers have been very inconsistent. We can’t just expect to do well and be disappointed if we don’t. Let’s get down on the training paddock to enjoy being with our mates, to work hard so that the success we enjoy will be richly deserved. There is the opportunity to train every Thursday night 5:30pm – 7:00pm at Dempsey which will improve the boys fitness and basic skills. What was undoubtedly the highlight of the tour was seeing the boys all hanging out together and having fun – another vital part of our great game. What a team, winning 9 from 9 and only conceding one try all weekend. From start to finish the under 12s were immense, playing high tempo attacking rugby, pinning the opposition inside their half. Our tackling was unbelievable – rush defence, closing down the space and creating the turnovers, finally the kids get it! We had to dig deep towards the end as matches were being played in quick succession and we only had one sub. Delightful to see the kids having so much fun being with their teammates on tour. 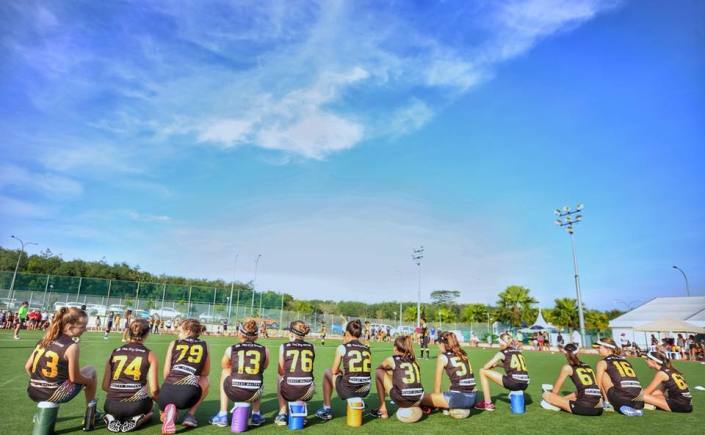 We went to KL with 11 players and won the cup against formidable opposition, 179 points scored, 5 points against and unbeaten all weekend with max 27 points. Imagine if we had our full team? Thank you Tigers, parents, coaches, and SCC Rugby Academy for a great weekend. Let the kids play. 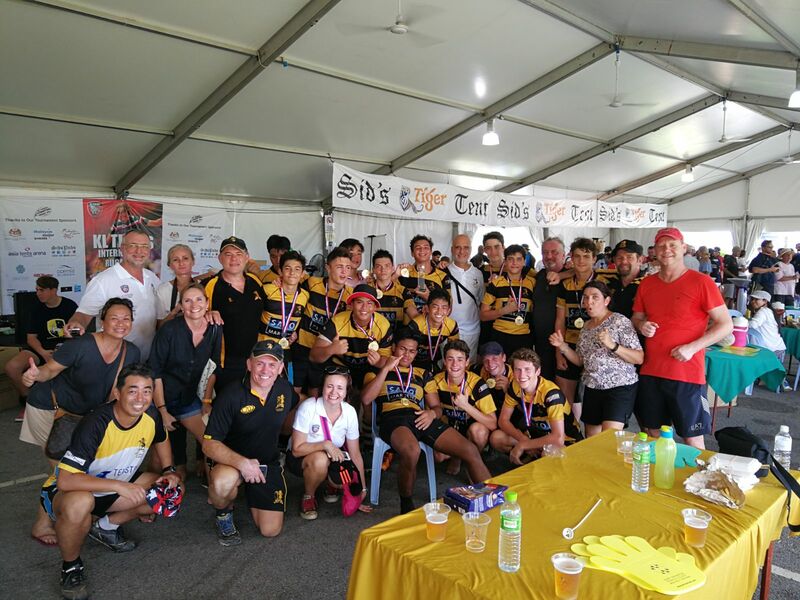 After finishing unbeaten in their 9 pool games, the U16s won the Tournament Cup Final beating Tanglin RFC 5-0. A great performance from this combined team of U15s and U16s players, who always demonstrated resilience, confidence and inspiration throughout the tournament, even when they were down at the scoreboard. A true team work achievement, like the special dance they performed at the Hotel Diner award ceremony (the video can be found on our Facebook page)!